Do Those Money Saving Tips Really Save Money? Recent fires in California and the hurricane in Florida are likely to increase food prices in some respects. We all want to save money on groceries, and couponing and buying in bulk are two ways often suggested to accomplish this, many people swear by these practices, but they do not always save as much as we would like and sometimes even cost us more than if we hadn't used a single coupon or bought in bulk. Many of us are looking at putting in a home garden to save on the grocery bill, but will any of this save you money? Does Using Coupons Really Save Money? Coupons can save you money if used properly for things that you would be buying anyway. Where coupons don't help you save money is when you buy something just because you have a coupon. The rule of thumb when using coupons to save you money is: Use what you buy and buy what you use. If you're unfamiliar with a product, No matter what kind of a deal you get, don't buy a lot of it until you know whether your family will like it or not. Be sure to compare prices for generic item without coupon against name brand with coupon before buying item with coupon. Often you can get less expensive off brand item of equal value for less than name brand with coupon. If possible, stock up on coupon items that you normally use when they are on sale. Does Buying in Bulk Really Save Us Money? Buying in bulk can save you money but then again, you may not be saving anything. Always check to see that you are actually saving money buying that item in bulk. Always check the unit price before buying. A case in point I like to use is sugar. Where I live a four pound bag of sugar costs about $1.70. A twenty five pound bag costs about $12.50. If you think that bulk is always cheaper, you'd be fooled into buying the larger quantity. However, when you do the math and figure out how much sugar costs per pound, you would discover that the four pound bag costs less per pound than the bulk bag. In the case of sugar, buying in four pound bags rather than twenty-five pound bags is the less expensive option. Buying in bulk won't save you money if you don't use what you buy either. Just because you got a "great deal", if you don't use it, you are paying more than you should for what you buy. 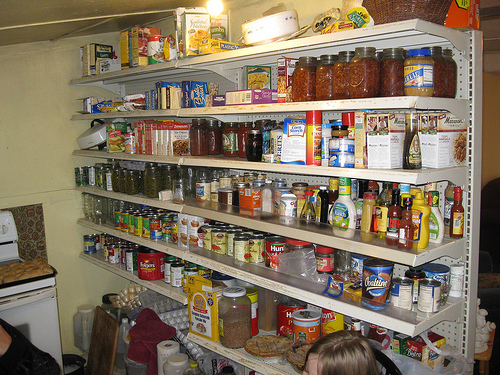 Food stored too long might not be worth the space on the shelf or in the freezer. Buying quantities of food from salvage grocery stores or from the bargain bin may be a great way to save money.. However, here again you need to be sure that you're saving money and not spending more than you should. Another consideration is that often food obtained from such sources are outdated goods. Even though often these outdated goods are, most likely, still eatable, they might not be as appetizing especially if they sit on your own shelf for any length of time.. Does Gardening Really Save Us Money? Gardening can be a money saver, if you don't go too big in the beginning and you don't buy into the idea that you need to buy a lot of equipment to get started. Start small with easy to grow vegetables like tomatoes, lettuce, onions from sets and green beans. Increase size of garden as you gain experience. You don't want to bite off more than you can chew. A small bed that you can handle in a few minutes after work can often produce more than a big garden that you neglected because you didn't have time to maintain it. If you need power equipment to work your garden, rent it rather than buy it, or if you must buy, buy used. Plant food that you know that you and your family will eat. Try only one new vegetable per season. Learn to take advantage of the spring and fall months. Listen to people who have been gardening for a long time to find out what grows where you live and what doesn't. Count the cost before you buy a freezer for storing perishable foods.Consider the cost of electricity as part of the cost of using freezer. Determine whether you can keep the freezer full. A half filled freezer will often cost more than the food is worth. In the event that the grid goes down for an extended length of time, protect your frozen food by using a back-generator. Freezers have been known to break down. Know what you will do if your freezer quits functioning. Your answer may be as simple as making a phone call to a friend who has space in his or her deep freeze. If canning, be sure to use the correct canning method for what you are canning. Most foods will need to be canned in a pressure canner. Pickles, fruits, jams, jellies, and high acid tomatoes are the only foods that don't need to be pressure canned and can be canned using a water bath canner. Drying foods could be the best way to preserve if space is an issue, but be sure that you will eat what you dry otherwise you are just wasting your time and money. Have a rotation system for your canned goods because you want to use the oldest food first. You can't go wrong by developing a food budget and managing your food purchases. Buying in bulk, gardening, and preserving your food can save you money if you plan it right. Just be sure that you aren't just fooling yourself into thinking that you are saving money when you're actually overspending your hard earned cash. Know exactly what you're spending your food dollars. The bottom line to saving money in your food budget is knowing the real cost of what you are buying. If you eat what you buy and buy only what you eat, and what you buy helps you make ends meet, then you have met your goal. Give yourself a pat on the back for a job well done. Saw your hub on Kumbuya so I stopped over. You are so right about everything. I use coupons but only for what I know we will eat. We also watch for the sales in the paper. Voted up on your hub. thanks day4all, I think the garden is my favorite too. It's always good to remember what works when you're trying to save money on food. I like the gardening tips best. I avoid shops who overly promote bulk buying, such as a major convenience store near me always pushes up the price of prawns to double anywhere else and then puts a sticker on saying buy one get one free, which basically means if you want it at the price of everywhere else you've got to buy two. They can do it because they are local and nobody else sells prawns locally and they stay open past normal trading hours. I've been using coupons for several years now and agree with your advice about using them. I only use them on products I would normally buy and only if it's also on sale. I also think it's wise to start small when growing some of your own food. I planted cucumbers one year and had quite a crop alongside my deck one summer. Luckily a friend had given me a recipe for bread and butter pickles so that turned out OK and nothing went to waste. I try very hard not to waste any food. Voted this hub UP and useful! I agree with you alanrammel! It is certainly time that we all took social justice seriously. The World Food Agency says we are throwing away half of the food we produce, through bulk buying, poor storage and fussy consumers. It's a disgrace that third world countries have such appalling starvation while we in westernized countries throw our food away and this is wholly brought on by multi-national supermarket chains maximizing profits. Sometimes I'm embarrassed to be part of the human race. Great points here, and great tips! Very informative hub and I learn much from you. Thanks for writing and share with us. Voted up! In a practical way, Yes, but people have to know their limits. Sales are a tempting strategy aimed at consumers. Even the rich stock on supplies. 1) Bulk buying household "non-perishable" necessities is key. These don't expire. 2) Expiry Dates on "perishable" goods need simple consideration. Don't buy what can't be consumed in time. 3) Never greed. Share to those who may need it. Send them overseas if you can. 4) Teach the children the value of money, the value of living, the value of saving. 5) Be happy and feel content of what you got; there are so many unfortunate people who are missing the smallest share of satisfaction. Wonderful hub, cygnetbrown. Makes every Shopper think twice. Cheers! These are great tips. Thanks for sharing it with us. Melchi, Yes, planning meals for the week is not only good for your financial budget, but as you have discovered, it also helps for our "health" planning as well! You've listed some very helpful advice here! I always thought buying in bulk was cheaper, until I ended up chucking away most of the food. What a waste of money! Now, I plan the meals for the week ahead of time. This week is the first week I'm keeping things gluten-free as well so it's going to be interesting. Thanks for this! Thank you ll for the comments and the shares! Some really useful tips and also you have mentioned the common mistakes people tend to make when they think they are really saving money on grocery shopping. Thank you for sharing your thoughts and ideas. Good tips and suggestions here. Coupons are not something I do much of because as you said, no point buying stuff you don't use just because it has money off. I have done it and you learn. We are not a huge coupon country but I do see more of it now around. Growing produce is great and good tips you gave about not planting too many types. Vu, Useful, Interesting, Shared. Great tips. My husband and I started a garden to help save money. Like you suggested, we started with vegetables that are easy to grow and don't require a lot of time and money to maintain. Not necessarily, Fastian, buying foods that you need when you need them is never a problem. I reckon going to supermarket means a definite useless spending, do whatever you may. I agree with you. Budgeting is the foundation of any money management. I'm glad to hear that you have used them! I'm glad to help, casymel! I became a stay at home Mom 6 years ago and have been looking for ways to save money. I use lots of the great tips in this article now. I wish I would have read this article when I first became a stay at home Mom. It would have saved me money and time through all of my trial and errors! Voted up and following! Useful tips. I've used many of these tips myself. Yes, these tips really work out. I have used a few of them and they were very useful for me. I really enjoyed the article...now if I can just start implementing the tips and save some money. I also suggest looking at the portion sizes you eat. Many people eat more than the body needs for sustained energy. Eating a healthy diet will help to decrease portion sizes and in turn save money. This is something I have incorporated. Thanks again. Good points, especially the one about larger sizes not always being cheaper. I think most people have been fooled by that one at least once. Great article, thanks for the tips!! I find it exhausting trying to get through all the grocery store ads every week to see what is on sale where... I end up with so many lists that I need a master list to keep up! Awesome tips. I am ready glad threw the gardening suggestions. A lot of people don't always consider growing their own food. Excellent point about how buying an item just because it is on sale or with a coupon is not always a good idea. That reminds me of people who are addicted to buying stuff at $1 stores, because it is so cheap, so they buy stuff they don't ever use. They end up spending hundreds of dollars on stuff they don't need. Sharing and voting up. Coupons have disadvantages as well as advantages, daisydayz! You're probably better off just watching how much you spend! Thanks Jaye for the comments! When my freezer gave out on me a year ago, I was glad that I knew how to can all that expensive meat I had in there! My husband will tell you that I'm not much of a "Suzy Homemaker" either, but I love to can! I'm physically unable to grow my own organic produce, so I haunt the farmers market as soon as spring arrives. I'm a firm believer in the adage, "You pay now, or you pay later." Consuming unsafe food and feeding it to developing children is a formula for health issues. Either we pay higher food prices to avoid toxic additives, pesticide residue and unsafe (filthy) Agribusiness growth and processing procedures, or we pay medical bills and with ill health down the road. That said, I do have ways of saving money when shopping. My local supermarket sends excellent coupons for specific items I purchase regularly, and I always make use of them. In addition, I save money on regularly purchased items by using Amazon's Subscribe & Save program. I can't sing its praises loudly enough. These items are bought in multiples, but not always in "bulk" that requires a lot of storage room. The schedule for delivery is very fluid, and when necessary, a delivery can be cancelled. Amazon already has discount prices, but when you subscribe to this program, an item has an even greater discount. It's delivered to your door at the S&S discounted cost only, with no sales tax and no shipping charges. Not only that, some products also include a $1 off coupon on the screen. One just has to look for it and use it in the code section to receive the extra discount. Because I have limited mobility, this program is very handy for me, while saving money for something I will use anyway. Also, it's good to have several of the same item in my pantry so there's no rushing to the store to purchase it if I run out. Since I have both a freezer (side-by-side) combined with my refrigerator, as well as a small chest freezer and a generator in case the electricity goes out, when I buy more produce than can be used in a week, I prefer to freeze it. Some people are good at canning food in jars, but I didn't get the "Suzy Homemaker" gene, so I'm not one of them. Ha-ha. More power to those who can do this well. LongTimeMother, The pun wasn't intended, but you're right! Clever pun, lol! I am still chuckling at your vegetable garden hint. "Increase size of garden as you gain experience. You don't want to bite off more than you can chew." Clever pun. lol. I had a deep freezer go years ago, when my children were little. It was very old and could hold a full processed cow. Lucky for me it was near empty, what I had mostly fit in our four coolers and what didn't I dried out. Kids had a lot of soups and stews to use up all that dried meat. I had my deep freezer fail, I even have a hub about it! I already do all that you listed and a little more and it does save a ton of cash. Another tip for when the deep freezer dies is coolers and dry ice . Never put dry ice into the freezer as you can totally destroy it. You can also pull out the canning pressure cooker and can the meat or make a lot of jerky. Great hub. I hardly ever use coupons because they're always for name-brand products, and I can usually find a generic brand for less than the name brand even with the coupon. Buying in bulk is something I always prefer. Thanks for sharing these valuable information. Thanks Vickiw and Hawaiian Scribe for your comments and tips! Another thing I have been meaning to do is to get a good app for my smart phone that can help me comparative shop when I am in a store. Some stores will pay you the sale price of another store. I am always interested in reading articles like this, and it is well researched. I do budget, but don't know many others who do. 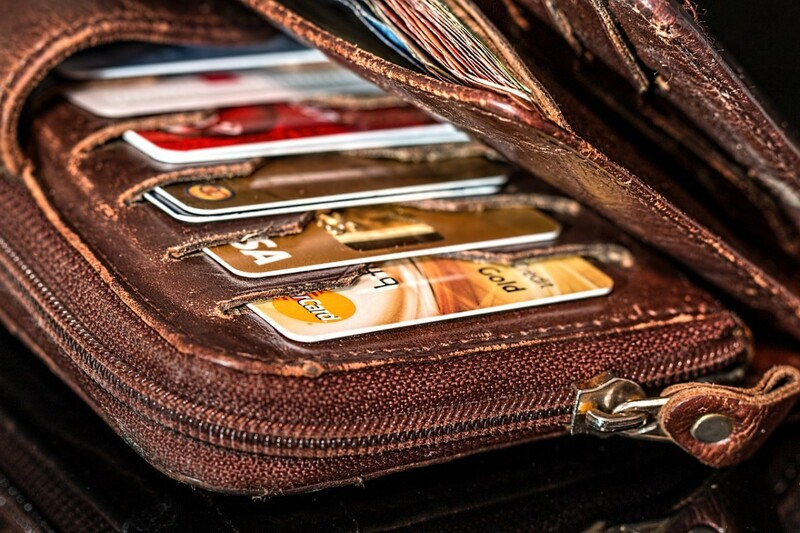 It is great to have tips on evaluating whether these "money-saving" tips are right for you. Great suggestions and points made. If we are diligent we can save money buying bulk and using coupons, but we don't do it all the time because it does not save us money all the time.